Al Ansari Exchange is the UAE’s largest network exchange house that provides worldwide remittance and foreign exchange services. 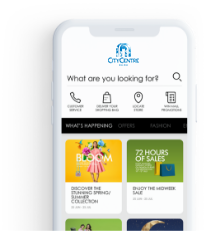 The company has more than 100 branches strategically located across the UAE and over 1,500 multi-lingual staff, providing the best financial based products and services to over 1.3 million customers on monthly basis in UAE. At the Al Ansari Exchange branch in City Centre Al Shindagha you will find trained multi-lingual staff who provide exemplary money exchange and remittance services in Dubai.